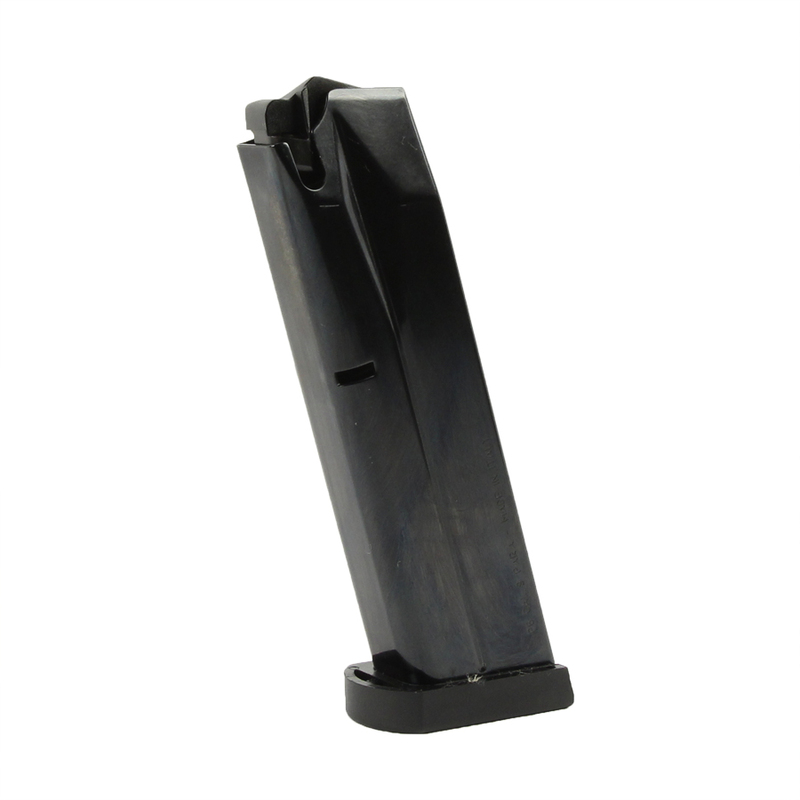 These are factory 17 round Italian made magazines that fit the 92 FS 9mm series (92S, 92SB, 92F, 92FS, 92A1, M9, M9A1, 90-Two, Billennium, Vertec, Brigadier, Centurion, Elite). They are made of carbon steel with black finish and plastic base pad. Great factory mags at much better prices! I have been shopping here for over five years with 100% satisfaction. If I need to know anything Sig Sauer related, I start right here. The finest handgun I have ever owned. Perfect balance and easy to conceal. Very light considering it is all steel. Well done Sig Sauer.